Would an extraterrestrial civilization hoping to communicate with us choose infrared as the wavelength of choice? We can’t know, but considering its advantages, NIROSETI’s instrument, mounted on the Nickel 1-m telescope at Lick Observatory, is helping us gain coverage in this otherwise neglected (for SETI purposes) band. I had the chance to talk to Dr. Wright at one of the Breakthrough Discuss meetings in Palo Alto, where she made a fine presentation on the subject. Since then my curiosity about infrared SETI has remained high. Then this morning I came across graduate student James Clark, who has just published a paper on interstellar beacons in the infrared in The Astrophysical Journal. Working at MIT’s Department of Aeronautics and Astronautics, Clark is not affiliated with NIROSETI. He’s wondering what it would take to punch a signal through to another star, and concludes that a large infrared laser and a telescope through which to focus it would be the tools of choice. The goal: An infrared signal at least 10 times greater than the Sun’s natural infrared emissions, one that would stand out in any routine astronomical observation of our star and demand further study. Clark believes that a 2-megawatt laser working in conjunction with a 30-meter telescope would produce a signal easily detectable at Proxima Centauri b, while a 1-megawatt laser working through a 45-meter telescope would produce a clear signal at TRAPPIST-1. An MIT study proposes that laser technology on Earth could emit a beacon strong enough to attract attention from as far as 20,000 light years away. Credit: MIT. In terms of current capabilities, we can think about Clark’s 30-meter telescope in relation to plans for telescopes as huge as the 39-meter European Extremely Large Telescope, now under construction in Chile, or the likewise emerging 24-meter Giant Magellan Telescope. How and where to build such a laser is the same sort of issue now being analyzed by Breakthrough Starshot, which conceptualizes a series of small lightsail missions to nearby stars using laser beaming. Caveats include safety issues for both humans and spacecraft equipment. Clark suggests the far side of the Moon would be the ideal place for such an installation. 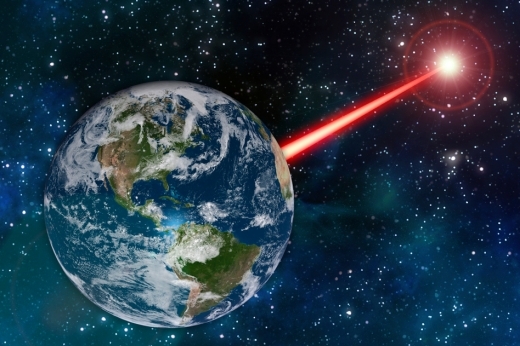 With METI (Messaging to Extraterrestrial Intelligence) continuing to be controversial, to say the least, whether or not we would ever choose to build an infrared laser as an interstellar beacon is up for question. But Clark’s analysis takes in the question of whether today’s technologies could detect such a signal if a civilization elsewhere put it into play and tried to communicate with us. As we’ve seen in other discussions of interstellar beacons, detection is highly problematic. We don’t know whether E.T. does astronomical surveys, but we know we do, and we are rapidly moving toward the study of small, rocky exoplanets through the spectra of their atmospheres. Thus Clark’s paper could be seen as a reminder to astronomers that an unusual signal could lurk within their infrared data, one that we should at least be aware of and prepared to analyze. A conversation between nearby stars at a data rate of a few hundred bits per second could eventually result. A sample of ancient oxygen from a 1.4 billion-year-old evaporative lake deposit in Ontario provides fresh evidence of what the Earth’s atmosphere and biosphere were like leading up to the emergence of animal life, according to new research. The findings, which appear in the journal Nature, represent the oldest measurement of atmospheric oxygen isotopes by nearly a billion years. The results support previous research suggesting that oxygen levels in the air during this time in Earth history were a tiny fraction of what they are today due to a much less productive biosphere. The study provides the oldest gauge yet of what earth scientists refer to as “primary production,” in which micro-organisms at the base of the food chain—algae, cyanobacteria, and the like—produce organic matter from carbon dioxide and pour oxygen into the air. “This study shows that primary production 1.4 billion years ago was much less than today,” says senior coauthor Boswell Wing, an associate professor of geological sciences at the University of Colorado at Boulder who helped supervise Crockford’s work at McGill. “This means that the size of the global biosphere had to be smaller, and likely just didn’t yield enough food—organic carbon—to support a lot of complex macroscopic life,” says Wing. To come up with these findings, Crockford teamed up with colleagues who had collected pristine samples of ancient salts, known as sulfates, found in a sedimentary rock formation north of Lake Superior. “Subdued primary productivity during the mid-Proterozoic era—roughly 2 billion to 800 million years ago—has long been implied, but no hard data had been generated to lend strong support to this idea,” notes study coauthor Galen Halverson, an associate professor of earth and planetary sciences. “For most of Earth history our planet was populated with microbes, and projecting into the future they will likely be the stewards of the planet long after we are gone,” says Crockford. “Understanding the environments they shape not only informs us of our own past and how we got here, but also provides clues to what we might find if we discover an inhabited exoplanet,” he says. Researchers from Rice University; Yale University; the University of California, Riverside; Lakehead University in Thunder Bay, Ontario; and Louisiana State University also contributed to the work. Funding from the Natural Sciences and Engineering Research Council of Canada, the Fonds de recherche du Québec—Nature et Technologies, and the University of Colorado Boulder supported the research. The findings, published in the journal Nature [link is above] , represent the oldest measurement of atmospheric oxygen isotopes by nearly a billion years. The results support previous research suggesting that oxygen levels in the air during this time in Earth history were a tiny fraction of what they are today due to a much less productive biosphere. Other attempts at communication involve photographs and pictograms. But even these efforts can be less clear than we think. What we show, and what we expect to be interpreted, can be very different. People read different messages into the same image, even if they speak the same language. These differences can be profound between members of the same species. Imagine how this would affect communication between different planets! This analyst thus seeks to highlight a paradigm that approaches extraterrestrial messaging from another angle. Speak like a human! We don’t know how extraterrestrials think or communicate. Any effort we make in this regard is likely to have problems. But we know how humans communicate very well. Our languages and media (including all the arts) are vivid and profound. We have a lot to say, and the means to do so. Our systems are not always perfect, but they are effective. SETI and METI scientists love to invoke analogy in their considerations of extraterrestrials. We know about humans but we know essentially nothing about extraterrestrials. So it makes sense to work with what you have. Extrapolating human factors to extraterrestrials is hazardous, but it does have some degree of utility. There is likely to be a lot in common, even though there could be profound differences. Let’s apply this principle to communication. The languages of humans are known to us. They could even be more universal than we realize. Cognitive scientists and linguists claim that much of the basis of language seems to be hardwired into our brains, whether we speak Spanish or Swahili. There could even be principles of logic and information theory that mandate certain factors in communication, regardless of biology. Extraterrestrials may not think exactly the same way or communicate as we do, but they could still decipher much of what we want to say. Our languages are more than just means of communicating ideas. They presumably convey knowledge about the minds and societies that developed them. Some of these mechanisms are known to us, but others could be yet undiscovered by our own scholars. Extraterrestrials may know better. Furthermore, they could presumably conduct comparative linguistic studies with their own languages or those of other civilizations they have encountered. Furthermore, human languages are really a more open and direct way of saying what who we are. They are a part of us, and we should communicate our languages as much as we communicate anything else. A 19th-century proposal for contacting aliens is being rebooted in the latest transmission to nearby star. When the esteemed German mathematician Carl Friedrich Gauss contemplated communication with extraterrestrials at the beginning of the 19th century, targeting the moon seemed obvious. Our planet’s natural satellite provided the nearest plausible home for life beyond Earth. The form and content of the message we could send was equally clear to Gauss. He is credited with the idea of communicating with inhabitants of the moon by clearing large swaths of the Siberian forest of its trees and in their place planting massive wheat fields in the shape of carefully arranged geometrical shapes, which would be visible from the moon. Specifically, he wanted to show Lunarians that Earthlings are familiar with the Pythagorean theorem by creating massive landscapes demonstrating that the sum of the squares of the legs of a right triangle equals the square of the hypotenuse: a2 + b2 = c2. Nearly two centuries after Gauss’s proposal, our team has turned to him for inspiration, using math as a universal language for interstellar communication by radio. We of course now know that our moon is inhospitable to life. But in the last two decades we have learned of the existence of planets around other stars. Some of these exoplanets orbit within their star’s “Goldilocks zone,” where it is not too hot, and not too cold, but just right to allow for the existence of liquid water—a prerequisite for life as we know it. Recently we sent a series of radio messages that included a numerical description of the Pythagorean theorem to one such exoplanet, in the hope of eliciting a response from any geometry-savvy inhabitants. The exoplanet is a super-Earth named GJ 273b, which orbits Luyten’s Star, a red dwarf only 12.4 light years from our solar system. It has the distinction of being the nearest known exoplanet that is potentially habitable while also being in view of the two-megawatt transmitter of the European Incoherent Scatter Scientific Association (EISCAT) in Tromsø, Norway, north of the Arctic Circle. On three successive days in mid-October 2017, a project dubbed “Sónar Calling GJ 273b” celebrated the 25th anniversary of Barcelona’s Sónar music festival with radio transmissions from EISCAT, which included a sampling of music by the festival’s artists. To increase the intelligibility of the signals, we at METI—a research organization dedicated to Messaging Extraterrestrial Intelligence—crafted a mathematical and scientific tutorial within the transmissions. METI’s tutorial differs from earlier interstellar messages in several ways. Past messages—like the radio message transmitted from a radio telescope in Arecibo, Puerto Rico, and the Golden Record onboard NASA’s Voyager spacecraft—have attempted to be encyclopedic in scope. The downside of trying to say everything in an interstellar message is that we are communicating so much information that it may come across as an incoherent jumble. METI’s message takes the opposite approach, explaining a few essentials of math and science with greater depth and clarity. In past interstellar messages, the link between the form and content of the message has been arbitrary, making decoding by any intelligent recipients all the more challenging. In METI’s tutorial, we focus on concepts we can directly demonstrate through the radio signal itself. We explain time through pulses that have a clearly defined duration—one that can be described numerically, as well as directly shown by pulses of corresponding duration. We expand into the realm of electromagnetic phenomena by discussing the fact that radio waves have specific frequencies, doing so by pointing to the two frequencies we used for the transmission itself. Throughout, we build step-by-step from simple to more complex concepts. After counting, we introduce arithmetic. Combinations of numbers that illustrate the Pythagorean theorem let us move into trigonometry. Once we can describe the relationships between the sides of a triangle—though simple division—we can describe sine waves, and thus radio waves themselves. In a second round of transmissions set for April 2018, we will expand our tutorial to demonstrate fundamental elements of musical melodies—by turning the transmitter into a musical instrument capable of sending signals at several different frequencies, not just two frequencies as in our first set of messages. By expanding the range of frequencies at which we can transmit, we will mimic the relationships between musical notes, which are separated from each other by specific, mathematically precise intervals. Through some basic math and physics, we will introduce aliens to human melodies. We have gone to great pains to send messages that will come out intact after a journey of more than 70 trillion miles. On each of the three days that we transmitted in October, we sent our METI tutorial three times. This provides alien codebreakers on GJ 273b with a simple rule to deal with the inevitable errors that will creep into the message as it traverses the vast distances between the stars. The recipient only needs to recognize that the message is sent three times; line up the three versions, one on top of the other; and finally, look for any discrepancies. Whenever there is a difference between the three parts, the extraterrestrial cryptographer has a simple rule to figure out what we intended: go with whatever appears two out of three times. Our new METI tutorial provides novel features designed to increase comprehensibility, but it is not the final word. Instead, to craft increasingly sophisticated messages in the coming years, we should learn lessons from the history of the Search for Extraterrestrial Intelligence, or SETI. In 1960 astronomer Frank Drake conducted Project Ozma, the first SETI experiment. The 1960s and 1970s saw a handful to additional searches, each relatively limited in the number of stars observed, as well as the range of frequencies. No signs of intelligence beyond Earth were detected. With the completion of each project, however, astronomers and engineers became increasingly sophisticated in developing signal processing algorithms, ruling out false alarms, and articulating a case for each of their chosen target stars. The power of today’s SETI searches is easily a trillion times as great as that of Ozma, thanks to more sensitive antennas that can search at billions of frequencies rather than only one. But has our sophistication in creating interstellar messages increased over the same time by even a factor of 10? I doubt it. Using as an analogy the history of SETI, in which much was learned by conducting a series of modest follow-up searches, the best way to develop increasingly sophisticated messages is to keep targeting additional stars, each getting its own distinctive message. Rather than simply replicating the messages that have been sent in the past, we should continually explore alternatives for both form and content. An interstellar message is like a treasure chest, offered by one civilization to another with the hope it will have value. Much of this value comes after the recipient can unlock the message’s secrets. But what may seem an obvious clue to us about how to do so may be obscure to an extraterrestrial. In our future messages, we would do well to include multiple keys, each providing a unique way to open the message. These efforts may one day let intelligent extraterrestrials begin to see the universe from a truly human perspective. SETI astronomers sometimes pick up strange signals. They don’t look like the regular type of radio transmissions we get from stars and other natural things in space. When this happens, they pay attention. 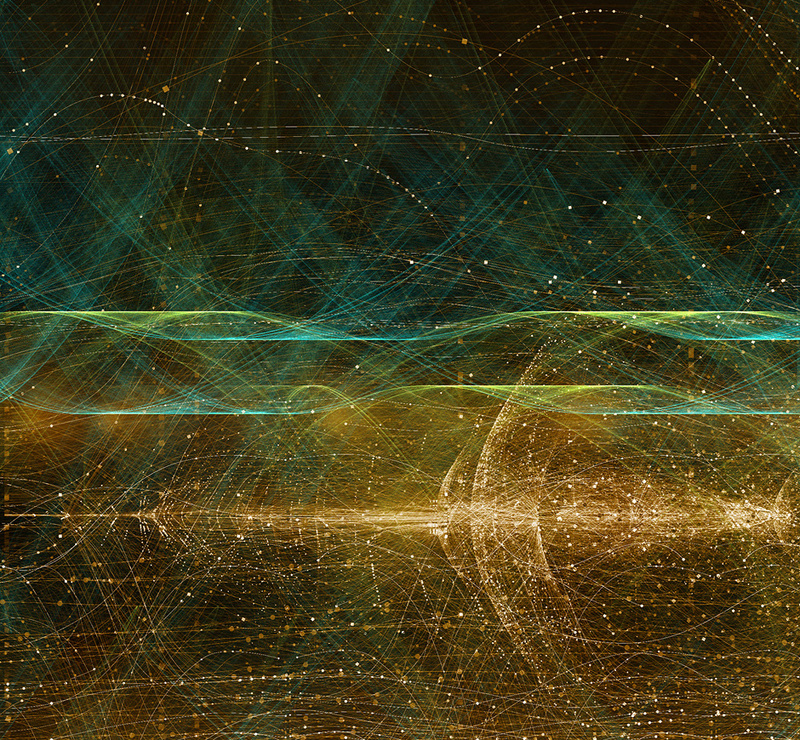 These signals could be transmissions from extraterrestrials. There are protocols for dealing with a potential extraterrestrial discovery. You perform follow-up observations of the same source, or the same area of space. You ask other observatories to perform their own observations. You also avoid saying too much in public until you know the real source of the signal. SETI observations have gone down this path many times, and in all cases, no evidence of extraterrestrial intelligence was found. Sometimes, signals have come from aircraft. But an increasing source of strange signals comes from our own fleet of satellites. Recently, the red dwarf star Ross 128 was the subject of one such incident. 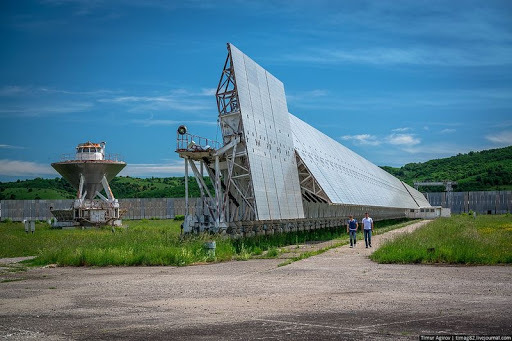 Astronomers from the famous Arecibo radio telescope picked up weird transmissions from the directions of this star, even though they were not actively conducting a SETI search. They alerted other astronomers and even published news of these investigations on a Web page. The media got hold of the story and published it. 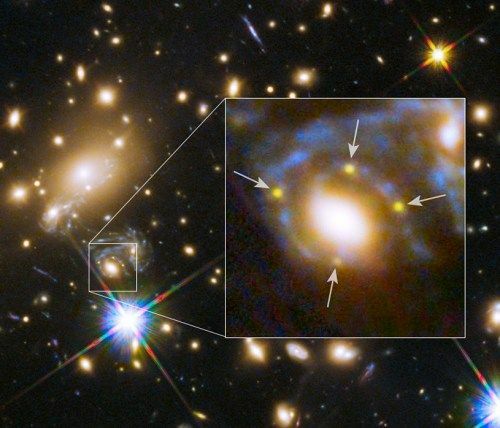 Much hype was made about the potential discovery, despite the fact that the astronomers had downplayed the likelihood of extraterrestrial involvement. But that doesn’t sound so juicy to journalists hunting for a big story. It was quickly shown that extraterrestrials were not beaming messages into space from Ross 128. But something else was certainly transmitting. The most likely cause, it seems, was a satellite orbiting the Earth. It just happened to be passing over the telescope’s field of view when these observations were taken. There’s a tremendous amount of artificial radio transmissions on Earth and in space. That’s how we sustain our information society. But the widespread use of radio waves causes problems for radio astronomers, SETI or otherwise. In the future, astronomers may need to go deeper into space, perhaps to the far side of the Moon, to escape the radio noise of Earth. That’s a luxury SETI astronomers can’t afford right now. All they can do is check any strange signals carefully, and accept that there will probably be more interference from satellites in the future. This also means that discipline needs to be practiced in reaching wild conclusions too quickly. Look before you leap. Check before you talk. In 2016, there was a torrent of publicity over a strange signal received by the RATAN-600 radio telescope, which was suspected of being an extraterrestrial transmission. RATAN-600 (short for Radio Astronomical Telescope of the Academy of Sciences) is a radio telescope located near the village of Zelenchukskaya in the Caucasus Mountains, in Russia, at an altitude of 970 meters. Follow-up observations dispelled any chance of this, and it seems that once again, astronomers were tricked by a satellite. In this case, there was clearly too much talk before the signal had been properly investigated. These two incidents serve as lessons for SETI practitioners, the media and the public. Any strange signal detected by a SETI project is probably not from extraterrestrials. The most likely cause will probably be a satellite launched by humans from Earth. We all need to avoid leaping to wild conclusions without firm evidence. Getting that evidence takes time, and patience will be needed. We would all love to find evidence that humanity is not alone in the universe. It’s one of the most significant questions confronting science. But science shouldn’t run on emotions. It needs caution and deduction. SETI is mostly a well-run pursuit. But journalists and the public should still be cautious of any claims they encounter.